It’s time to VHSave the date, and get ready for the most rewind-radical weekend of your life as VHStival returns to Raleigh, NC from August 30th – September 1st! Alamo Drafthouse Raleigh and Video Vortex are bringing back the Total VHS Party that will feature fantastic screenings of VHS-era staples, brain-melting obscurities, and tributes to phenomenal underground found footage! Plus! Break a VHSweat while we gyrate and celebrate of the workout video craze of the 80s and 90s! 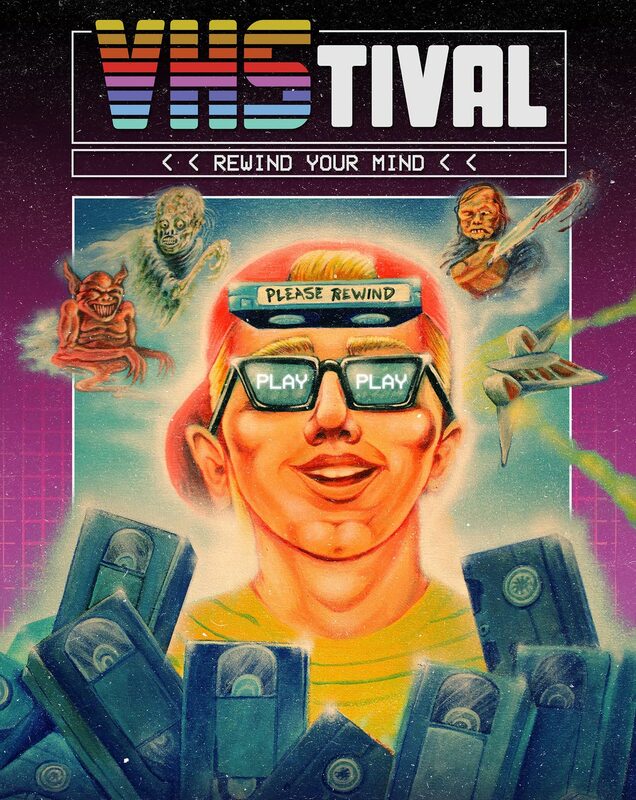 In addition to the colorful array of VHS screenings, VHStival will also offer special guest appearances, Q and A sessions, tape swaps (where you can trade tapes and find your new favorite VHS gem), interactive VHS-driven actvities, and the return of everyone’s favorite Tapehead memory game: VISIONS OF VHS! This August, Raleigh, NC is going to be the most rewind radical place on the planet! TOTAL. VHS. PARTY.